Sit-top-kayaking is a highly enjoyable activity that can be either on the river or in small surf (conditions permitting). 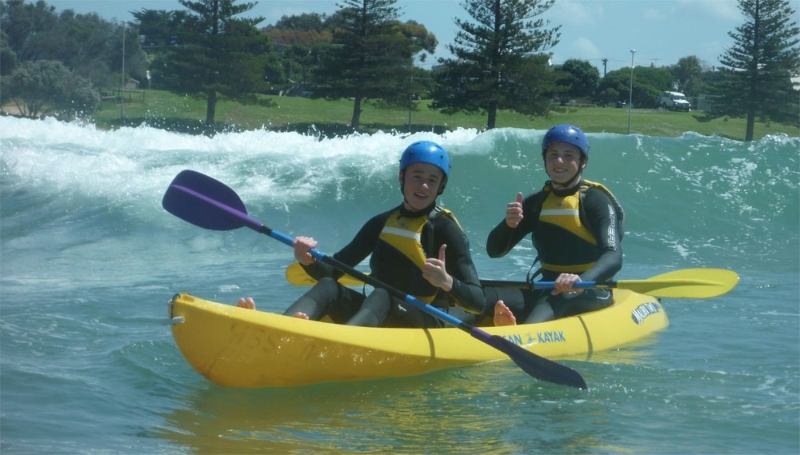 The kayaks we use are two person, self draining ocean kayaks which are extremely safe and easy to use, as well as being heaps of fun! They are designed for paddlers with little or no experience and are extremely stable and easy to re-mount in deep water should a capsize occur. 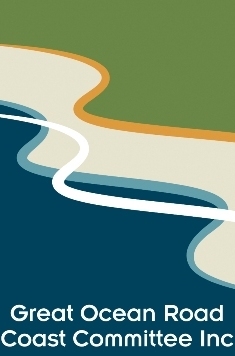 All river and ocean participants must wear a PFD, when surf kayaking a helmet and wetsuit is cumpulsary. During river kayaking we reccommend wearing old shoes or wetsuit booties can be provided. 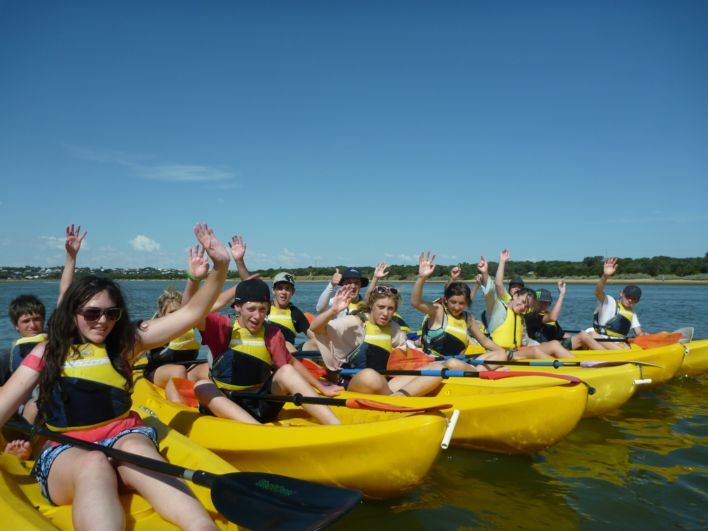 We provide everything else needed including all safety equipment to ensure a fun safe experience. As well as being fantastic fun, this is a great activity for developing fitness, teamwork and co-operation. 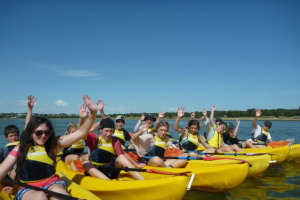 We can cater for small to large groups of up to 28 paddlers on the water including leaders and instructors. 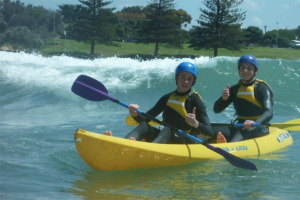 Everybody should experience the adrenalin of surfing a wave with a friend in a double kayak it's amazing!!! !